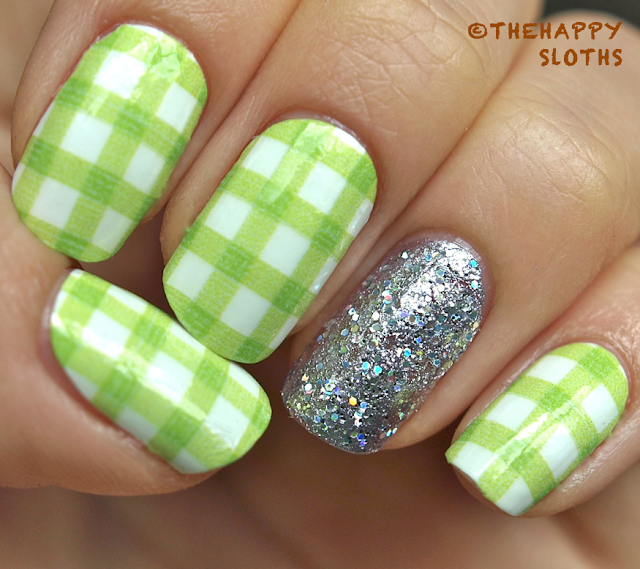 So for all my nails except the ring finger, I applied the Sally Hansen Salon Effects Real Nail Polish Strips in "Checker Out" (this design was limited edition, but there are lots of other designs currently available in stores). If y'all haven't tried these strips yet, you are TOTALLY MISSING OUT! They are so easy to use and the effect they give is totally awesome, you will get non-stop compliments from everyone you meet, I swear! Also, the sizes of the strips are the most fitting out of all the nail polish strip brands I have tried, there was a perfect size for all my fingers. Also it is worth mentioning that these strips are made of real nail polish and not plastic so once they had some time to dry on the nails, you really can't tell that easily that they are nail strips. 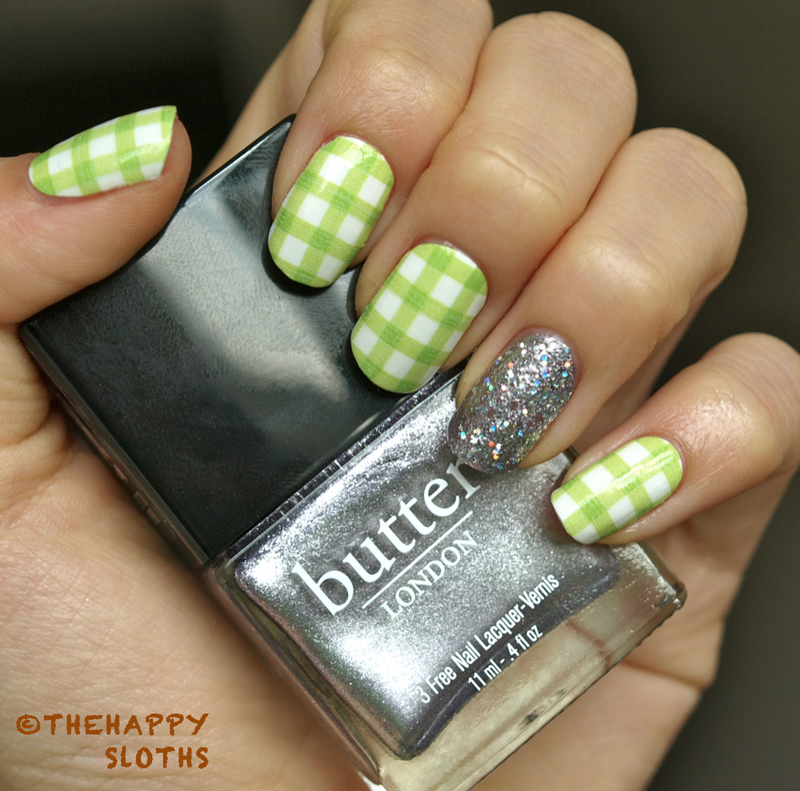 For my ring finger, I used one coat of "Lillibet's Jubilee" from Butter London and topped it with "Nova" from China Glaze. Every nail is then topped with Orly Glosser topcoat. 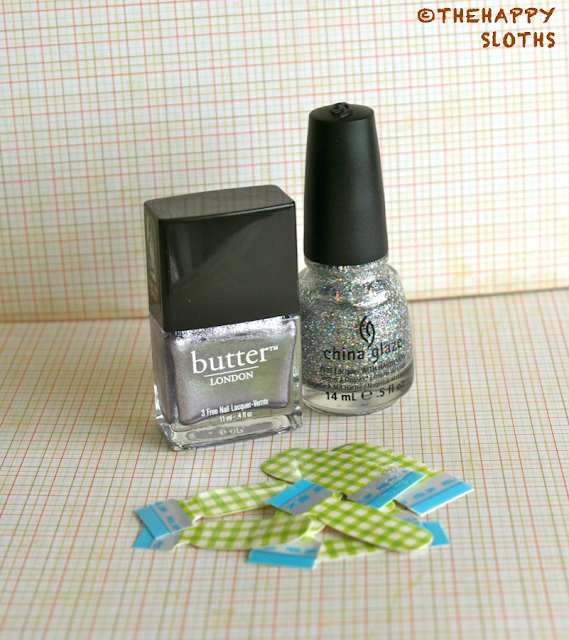 Have you tried Sally Hansen Salon Effects Real Nail Polish Strips before? Do you love them?